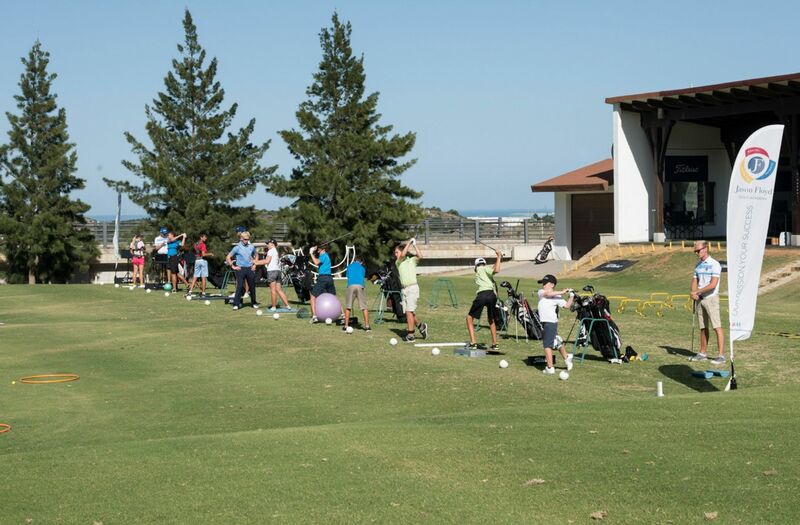 We utilise year round access to our 35m by 30m grass driving range, spectacularly set in the watchful eye of the beautiful Sierra Bermeja Mountain range. 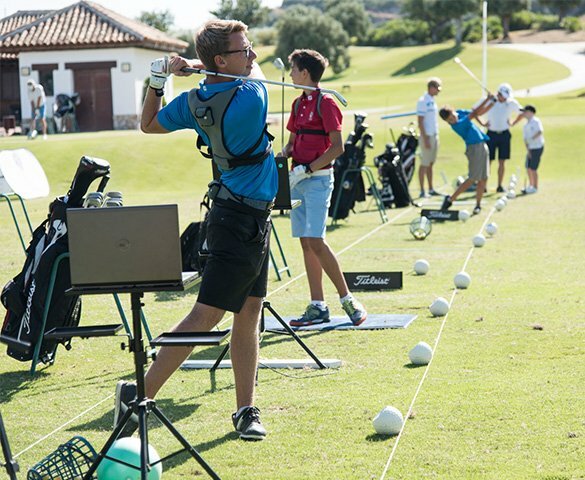 Whilst most countries are stuck in their indoor facilities or forced to hitting off range matts during the winter months, we are very fortunate to still be practicing our skills on the turf, ensuring our Student-Athletes reliable strike feedback that grass surfaces provide no matter the time of year. 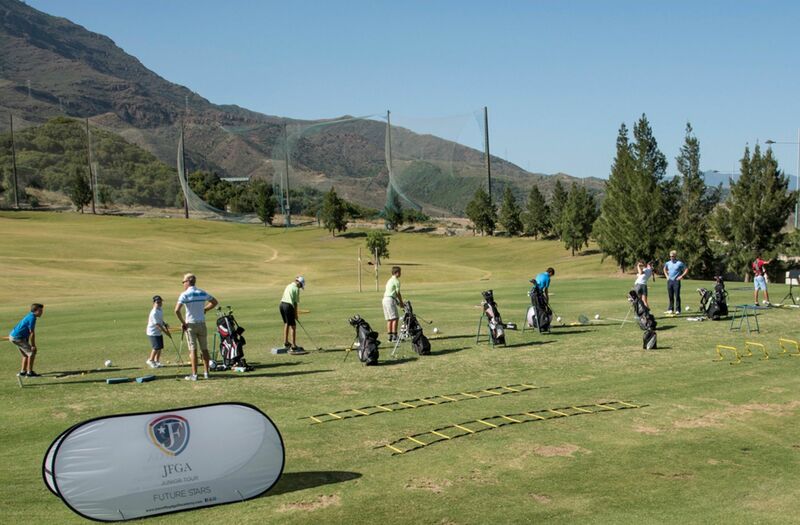 The Short-Game Area offers the opportunity to perfect any short game shot and encourages the inner creativity of our Student-Athletes to be better prepared when faced by any shot on the golf course. 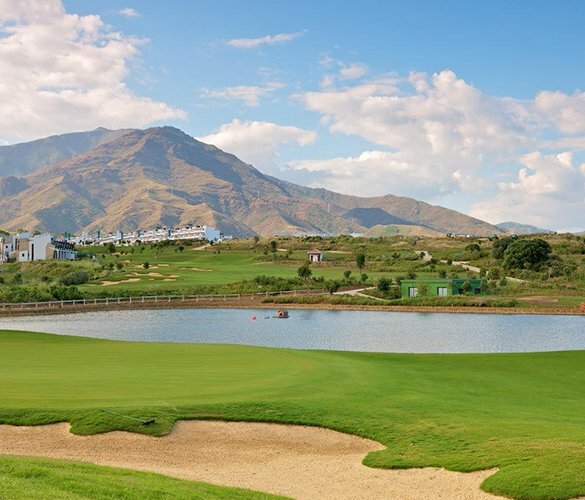 From nippy spinners off tight lights to high, floating lob shots out of the rough or simple bump and runs, to soft landing bunker shots all options catered for. 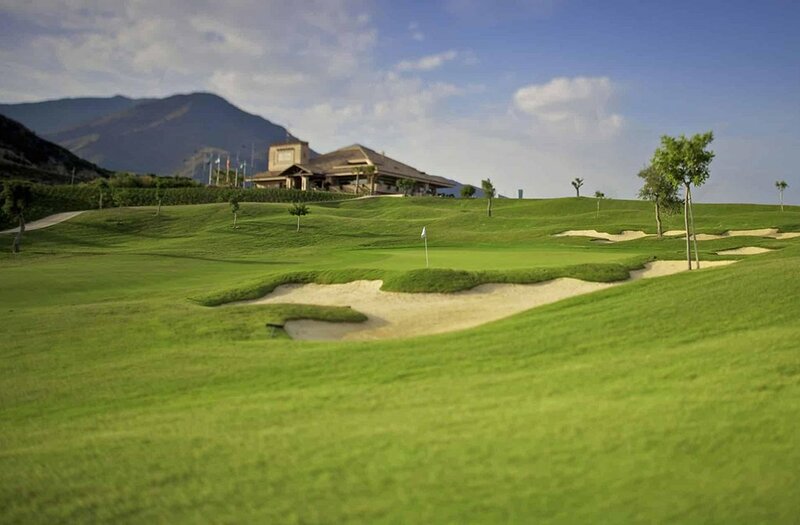 Again, all grass surfaces, 12 months of the year. 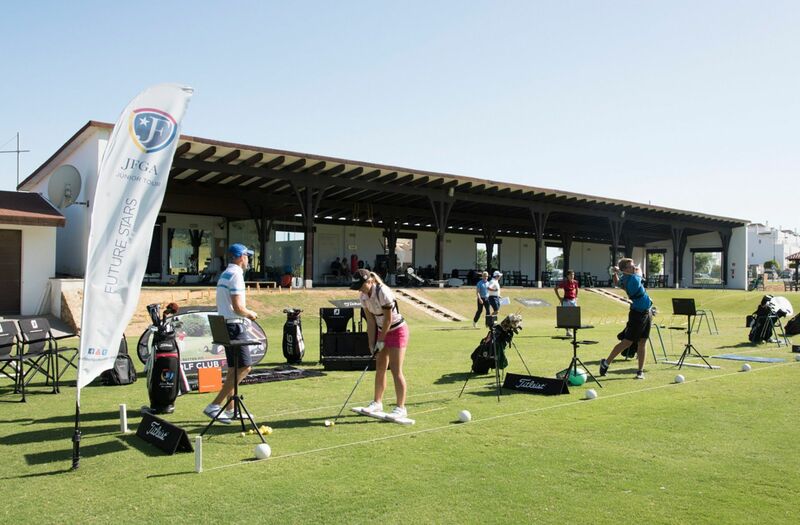 Our large, slopping putting green provides our coaches with opportunity to challenge the Student-Athletes in all aspects putting. 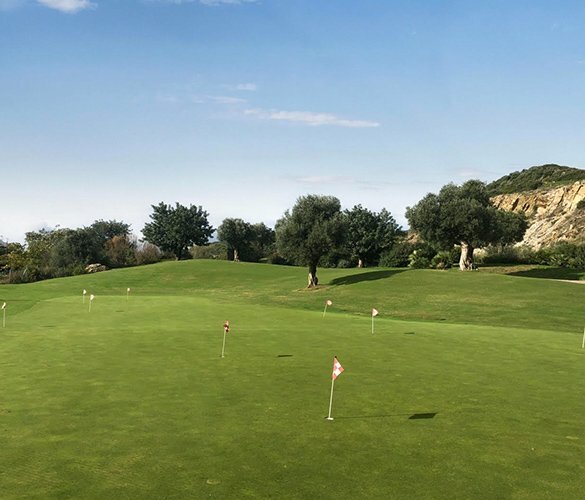 Green reading is an essential skill component to successful putting and the Student-Athletes are fortunate to have such a challenging practice green to help enhance this skill making it that bit easier on the golf course. 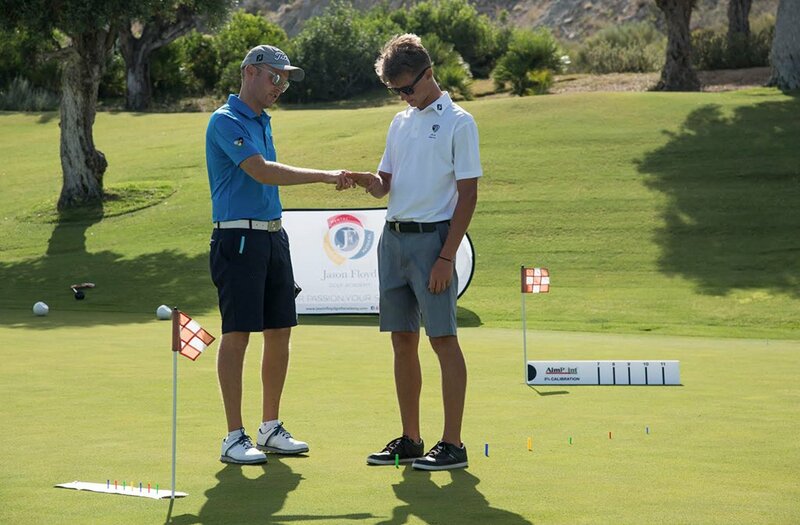 The Student-Athletes are all educated in the Aimpoint Expressing Green Reading system, of which Aimpoint used our putting green to confirm many of their findings that their tour players are utilising today. 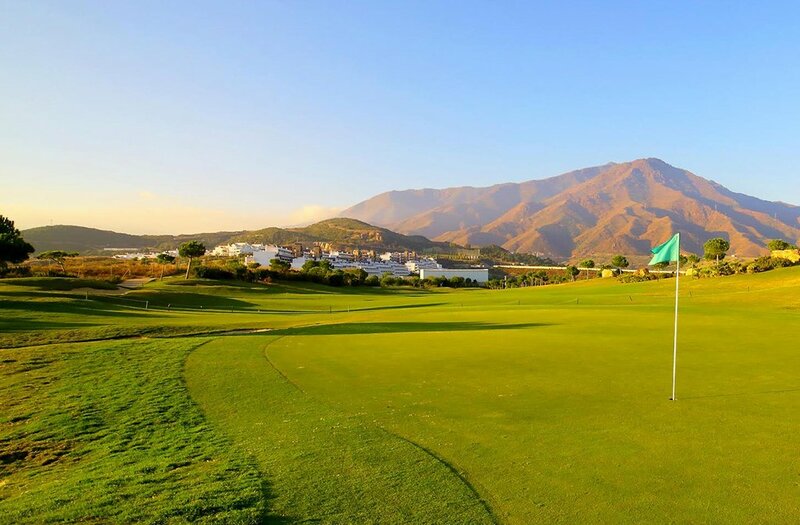 Host to the 2018 Andalucia Costa Del Sol Matchplay 9, on the European Challenge Tour, Valle Romano Golf Club and Resort offers a challenging championship standard 18 hole golf course. 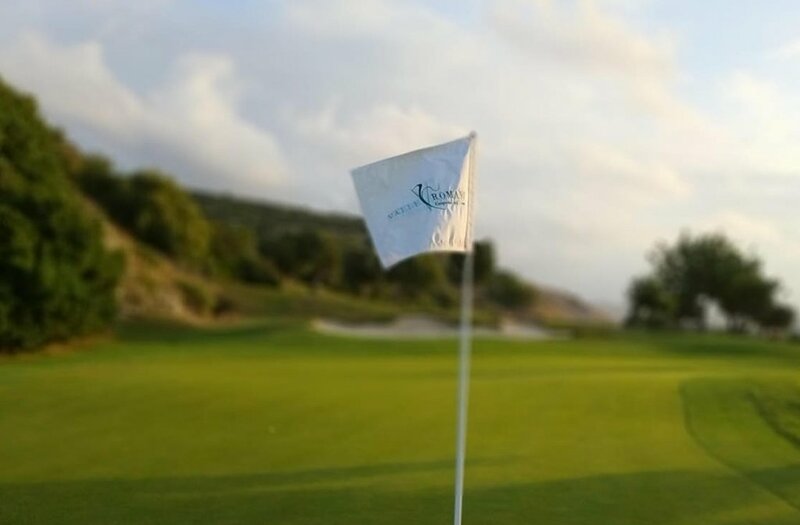 With an average of 5 tee boxes per hole and large, spacious greens offering a number of pin positions, the course can be set up to challenge any standard of golfer, of which we utilise to ensure our Student-Athletes are developing the on course skills they require to compete on the International Stage. 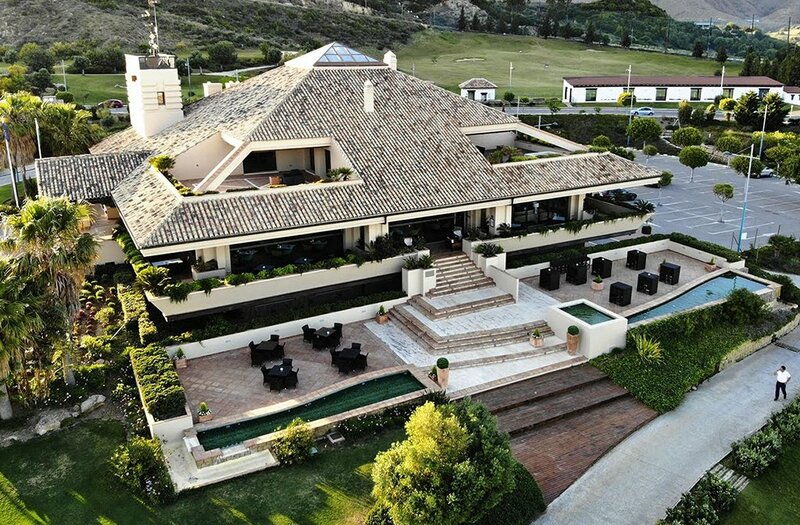 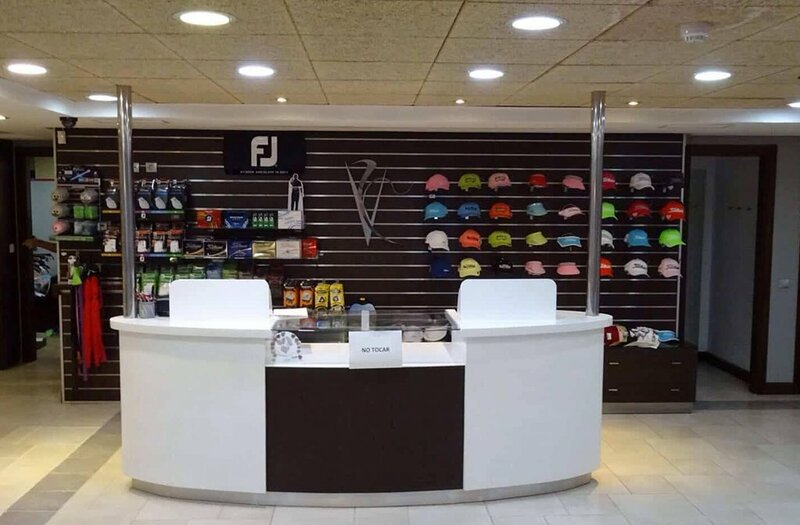 Our Student-Athletes have full access to the Valle Romano Golf Resort club house. 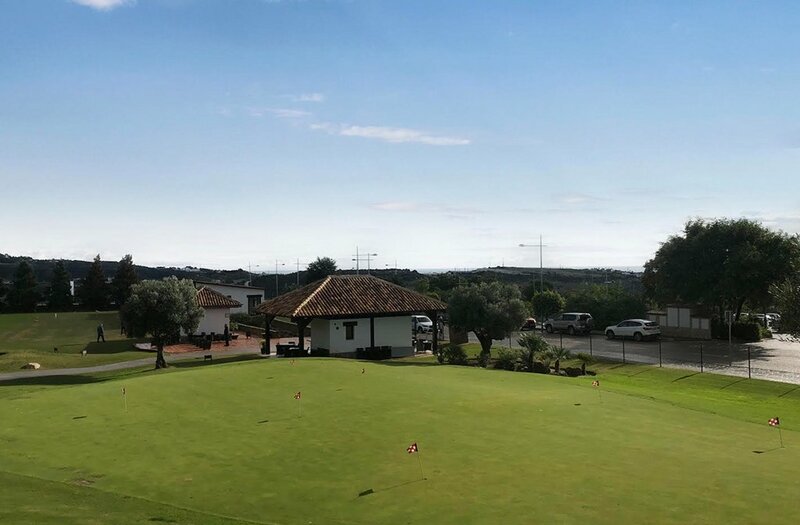 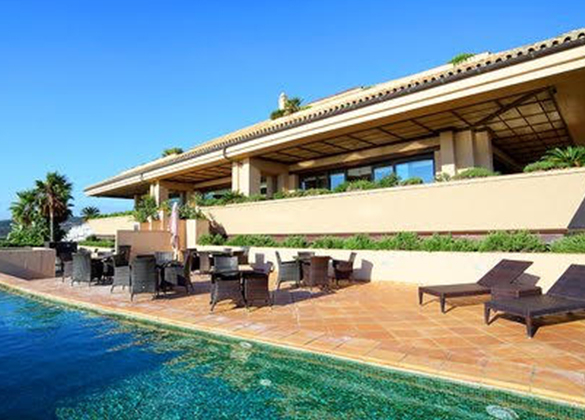 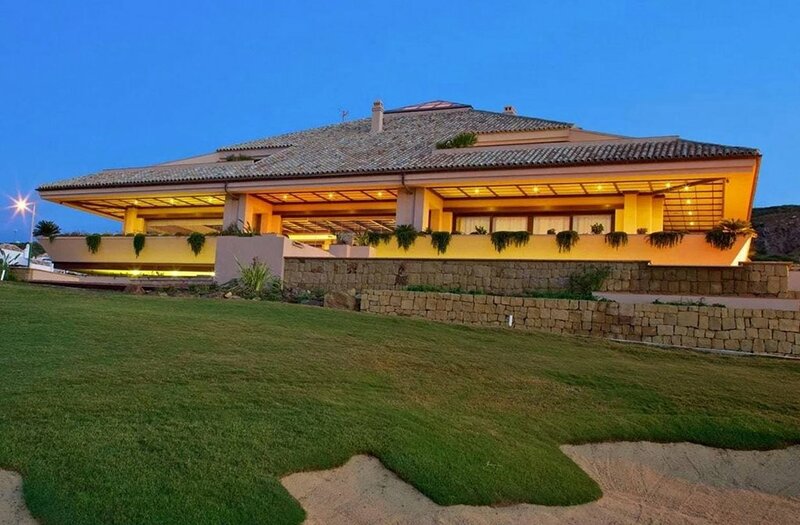 They enjoy refreshing showers in the changing rooms after their physical sessions and a bite to eat in the bar/restaurant whilst being spoilt by the views of the Mediterranean Sea and 9th green.